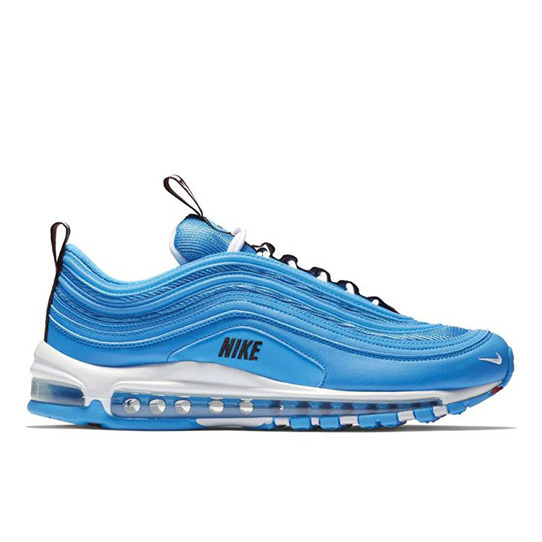 Ever since it was revived last year, the Nike Air Max 97 has been one of the Swoosh’s best silhouettes, and the Nike Air Max 97 Premium Blue Hero perfectly embodies everything that makes the sneaker so legendary. 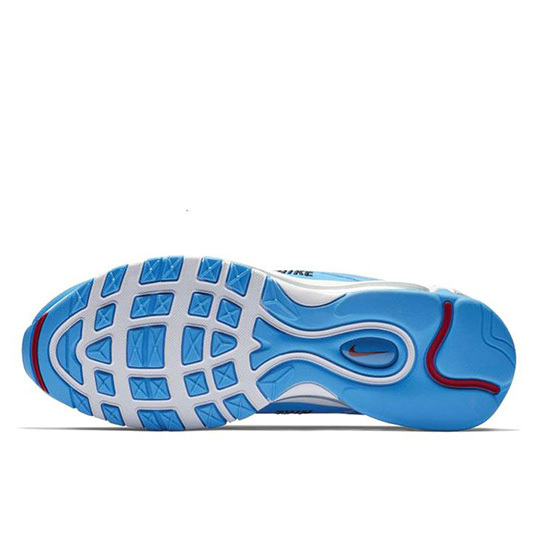 Understated yet unique, this shoe takes some of Nike’s classic ’70s running features and combines them with a clean and modern design. 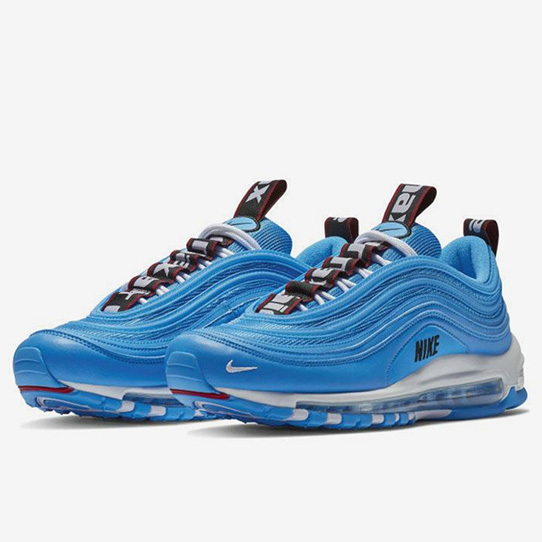 Inspired by the famous Japanese bullet trains, the Nike Air Max 97 Premium Blue Hero has been crafted from a mix of bright blue leather and nylon. 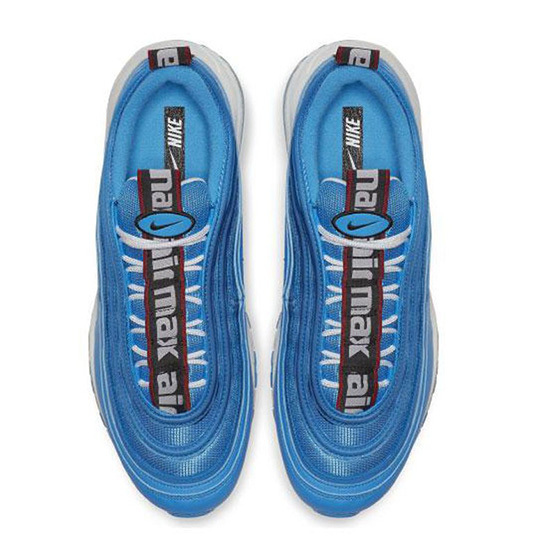 Elsewhere hits of black and red branding can be found, while a mini Swoosh logo sits on the toe and an Air Max strip is featured on the heel and throughout the lacing system. 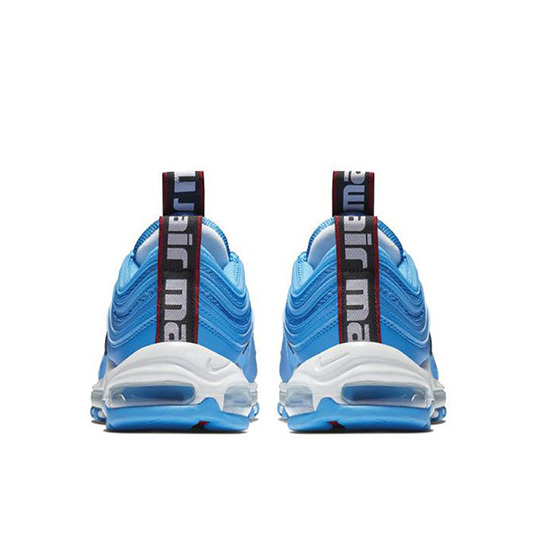 Finishing off the look of the Air Max 97 Premium Blue Hero is a white midsole, icy blue Air bubble unit, and a white and blue outsole.